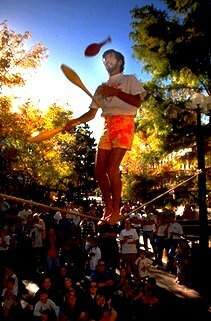 Professional not-so-tight-rope artist, 1978-98 -see photo). 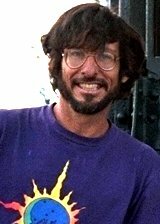 Rode a mountain bike from Arizona to Guatemala 11/88-2/89, including the first bicycle crossing of a 400-mile track through the Sierra Madre Occidental. First and only to put an initiative for phone voting on a ballot (Boulder Colorado, 1993) We lost 59-41%. Researcher and Office Manager, New Mexico Solar Energy Association. Taos, NM. 1978.